We welcome the opportunity to help you evaluate your personal injury lawsuit. Please call (404) 525-5150 or contact us online today for a free, no obligation telephone consultation. If you are involved in an Atlanta business dispute and would like help in evaluating the merits of your case, please call Robert J. Fleming at (404) 525-5150 or contact us online. We are here to help. For over 20 years, Robert J. Fleming has successfully represented clients and litigated lawsuits in all of the above areas of law. Many of these specific areas of law necessitate special pleading and notice requirements. Due to these special requirements, it is advisable to hire an experienced lawyer early in the legal process. This allows your lawyer to aggressively pursue your case from the time that the initial notice is sent advising the other side of the claim, all the way through the discovery process and obtaining a timely trial date. 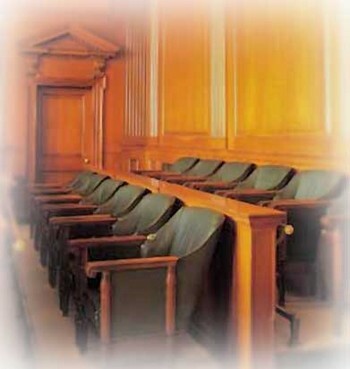 No client has ever benefited from sitting on their case and not hiring a lawyer. As they say, time is money, and this really is the truth when it comes to selecting a lawyer that can help you in a difficult time. In fact, you should retain a lawyer to represent you as soon as possible so that you do not risk losing your case over a technicality such as a pleading requirement or notice requirement that is missed. Many of these requirements are mandatory and, for example, if the deadline is missed, you cannot correct the mistake. This would result in your lawsuit being dismissed. Therefore, you should contact lawyers immediately to see if they can represent you, as you must comply with all applicable deadlines and statutes of limitation (or the time period within which you must file your lawsuit) or your right to sue may be lost forever. If you would like to discuss your case in complete confidence, call Robert J. Fleming directly at (404) 525-5150 or contact us online today for a free, no obligation consultation. We are here to help.